A November afternoon on the west coast of Islay, sunset approaching rapidly. 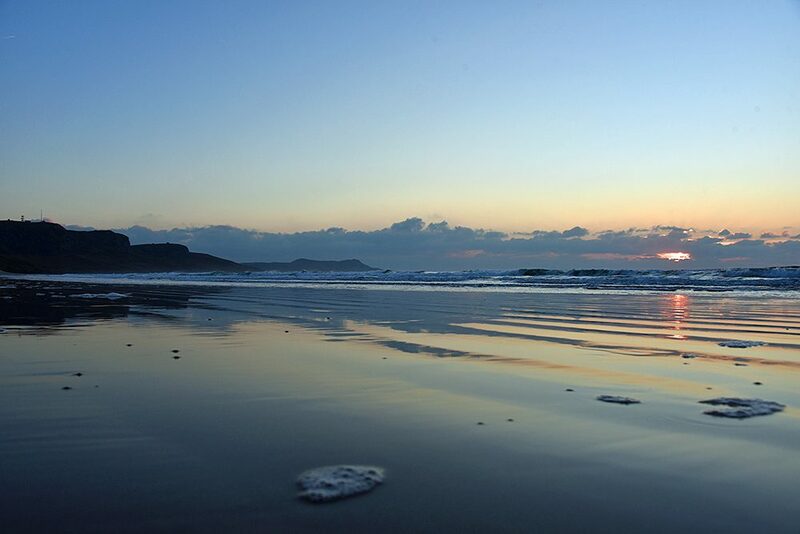 The sky and the crags are reflected on the wet sand of Kilchoman beach. The setting Sun is breaking through a gap in the clouds, reflecting on the water.